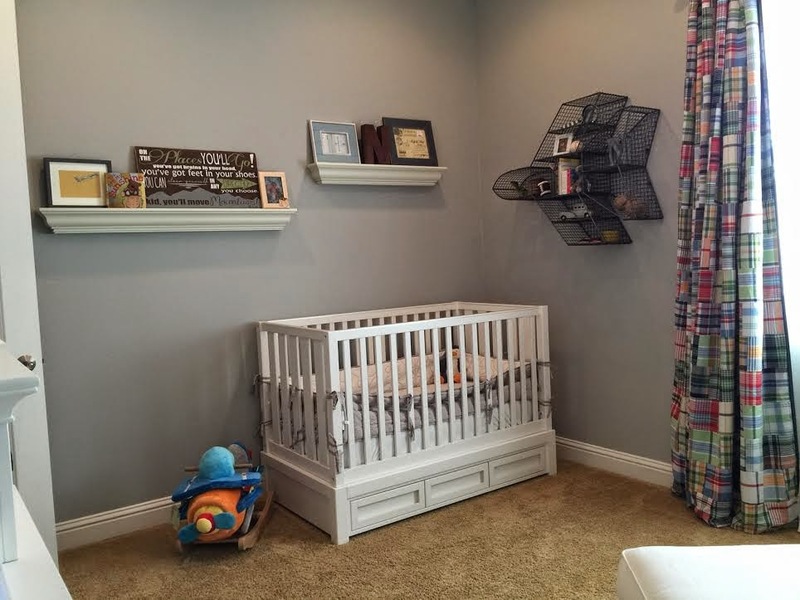 I am definitely not an interior decorator, but my favorite projects in our house have been decorating our kid's nurseries (and Andie's big girl room - I will share that soon!). For Nolan's nursery, I wanted to do something boy-ish and along the theme of airplanes. 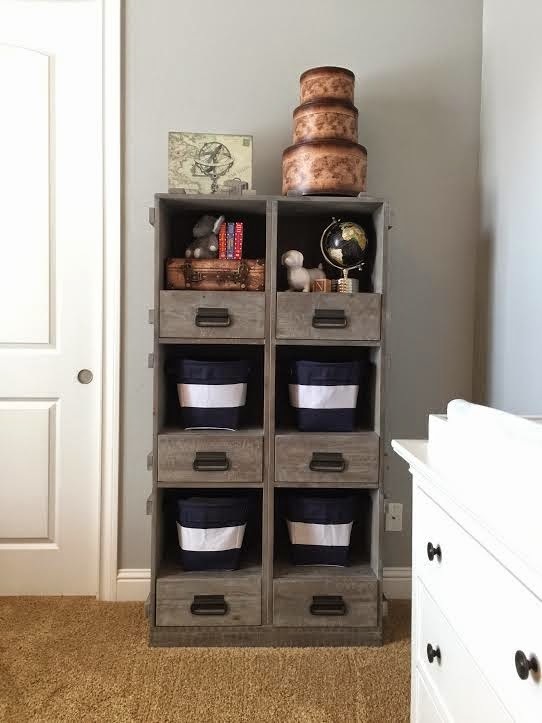 I also didn't want it to look too baby-ish because I know most of the decor will stay with him for a long time. My dad is a pilot of a small airplane and I grew up flying with him, so when I see airplanes, I can't help but think of him. All of the decor on the shelves is from Home Goods, Marshalls, Michaels or gifts from family & friends. 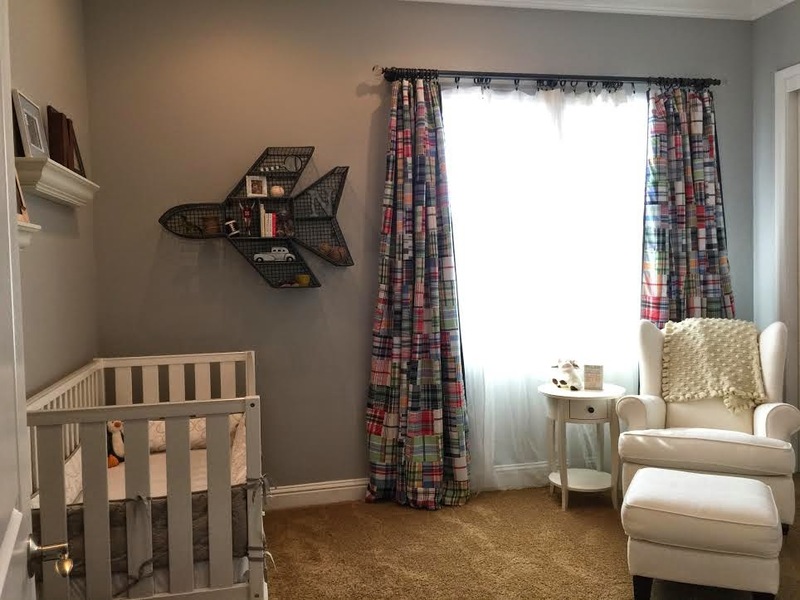 The soft airplane rocker is from gilt. It is timeless and it looks great! Nicely done! It's so cute! Such a sweet and special theme. 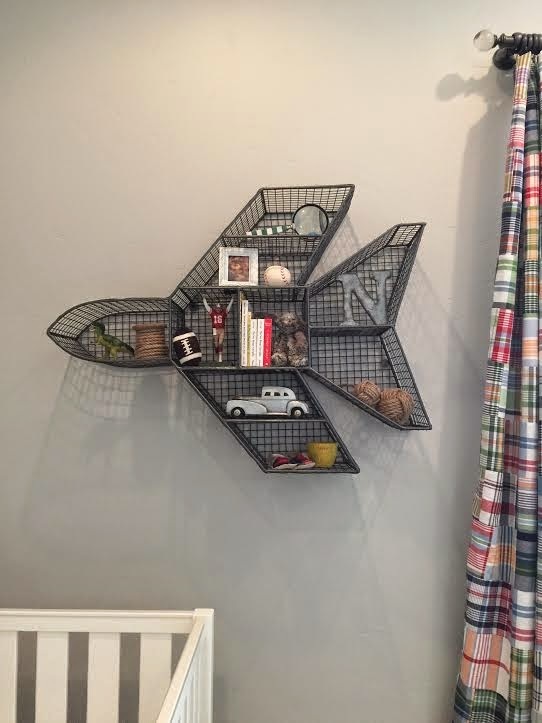 I am also OBSESSED with that bookshelf! Love this! We are building and my sons playroom is going to be inspired by vintage aviation. 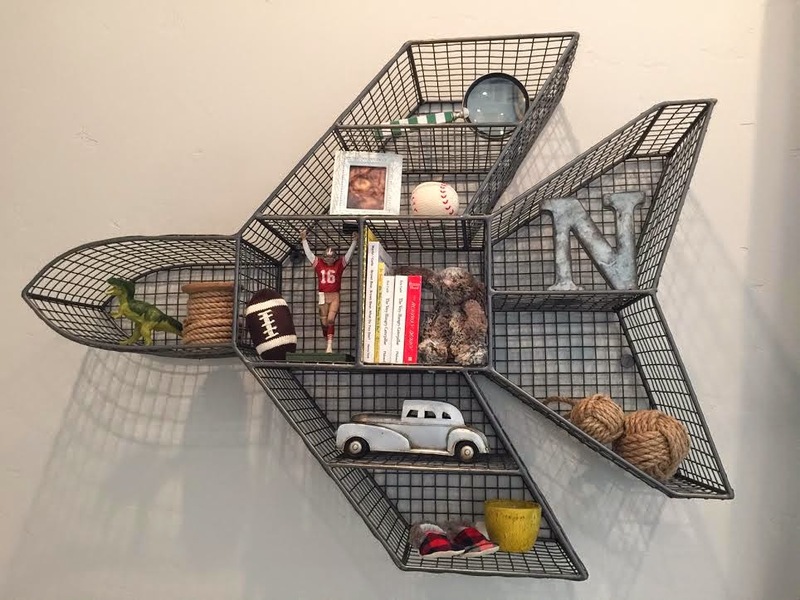 I am loving that wire plan shelf. Going to look into that! I love RH Baby! Just don't tell my husband. Happy Sunday! I love his theme and that it is still precious without being too babyish!!! That RH book case is spectacular! Super cute! 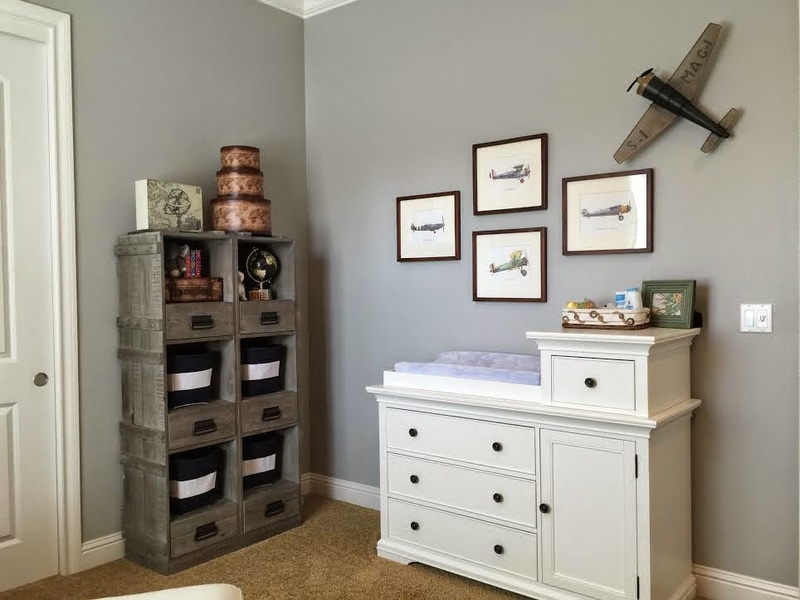 I love the airplane theme for little boys too!